The Board of Veteran CEOs: Are Leaders Really Needed in Organizations? Zappos is one of the companies that adopted Holacracy. CEO of Zappos, Tony Hseih, gave an ultimatum to all employees. They were to embrace Holacracy or leave. He even offered three months severance to those who left voluntarily. 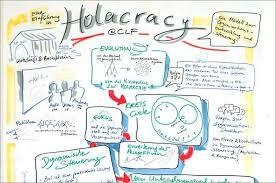 With Holacracy, they have eliminated managers. They work in circles. Each circle is responsible for specific outcomes. While there is a leader for each circle, they do not have a title. In addition, members of the circle are not limited to making requests for resources through their circle leader. There is usually a leadership committee. With 4,000 employees, Zappos is the largest enterprise to take on Holacracy. Other companies like Medium and the David Allen Company are also proponents of Holacracy. In Sweden, there is a 40-person company called Crisp that has invented their own version of a flat organization. Like the Holacracy concept, Crisp has structured the business with self-organizing teams. Part of that structure includes eliminating the CEO. After three years of implementing this structure, they have realized great success and tremendous amounts of media attention. Perhaps the real story is that command and control leadership has died. In the past, businesses grew out of an agrarian society. Aside from merchants, people were not accustomed to self-organizing teams in an industrial capacity. Therefore, managers were necessary to dictate work productivity. Furthermore, because people were often coming straight from working in the fields, they had not developed factory skills. At the very least they had not transferred team-building skills they had developed working on a farm. As a result, layers of managers were needed to control labor and output. In a knowledge society, people’s intellectual capital is part of their productivity. While people still complete work with their hands, it is their intellectual capacity to figure out more efficient ways to produce results that has become valuable. Nevertheless, even in the Holacracy or so-called flat organizations, people seek informal leaders. They need mentorship and people who make the final decision when there is a deadlock. They need to know their career trajectory when it comes to raises and promotions and they still seek guidance when they are stuck. 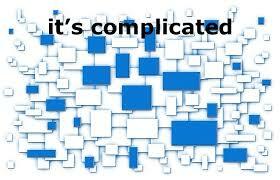 These structures are often missing or ambiguous in Holocracy or flat enterprises. As a result, “Zappos has suffered from almost a fifth of staff being unable or unwilling to deal with the pressures of self management.” It appears Holacracy has had greater success in smaller businesses. The company Medium has about 90 employees. Except, they have not generated revenue yet. Perhaps it’s time to start looking at businesses as people. Take away people and there are no employees or customers. Therefore, it is wise to set up organizational structures that are built by people for the people. As much as Holacracies and flat organizations attempt to demonize and eliminate leaders, they have proven to still be necessary. In some organizations they still exist, with informal titles. They still serve as the person with the ultimate accountability or expertise. Instead of imposing complexities that no one understands, empower people to use their intellectual capital to create self-sufficient teams. Part of the way to do that is to first engage them in transformational exercises. It is usually best to have someone from the outside to walk them through a journey that shifts the prevailing mindsets. With a new mindset, it becomes easier for people to make changes themselves. More importantly, if they make the changes themselves, they will own it and make it part of the corporate culture.